We give abundant advice to founders about how to make startups succeed yet we offer few models about dealing with failure. While I had been part of a few failed startups, none of them had fallen squarely on my shoulders until Rocket Science Games where my business card said CEO. It was there that I lived through all 6 stages and came out the other side a changed man. 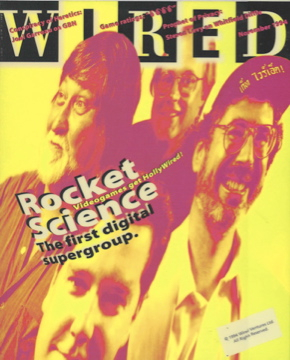 We raised $35 million and after 18 months made the cover of Wired magazine. The press called Rocket Science one of the hottest companies in Silicon Valley and predicted that our games would be great because the storyboards and trailers were spectacular. 90 days later, I found out our games are terrible, no one is buying them, our best engineers started leaving, and with 120 people and a huge burn rate, we’re running out of money and about to crash. This can’t be happening to me. In my mind, I had done everything the investors asked me to do. I raised a ton of money and got a ton of press. We hired everyone according to our plan. It was everyone else who screwed up. I did everything right. A few weeks after leaving, I began to think about what I should have done, could have done and pondered why I didn’t do it. (I didn’t listen, I didn’t act, I didn’t own my role as CEO, I wasn’t prepared to do what was right or leave.) This was hard and didn’t happen overnight. My wife was a great partner here. I often reverted to Stages 2 and 3, but over time I took ownership of my primary role in the debacle. This was the hardest part. While I stopped blaming others, understanding what I could change in my behavior took long months. It would have been much easier to just move on, but I was looking for the lessons that would make my next startup successful. I looked at the patterns of behavior, not just at my last company but also across my entire career. I learned how to dial back the hubris, get other smart people to work with me – rather than just for me, listen better, and act and do what was right – regardless of what others thought I should do. For my next startup I parked the behaviors that drove Rocket Science off the cliff. We established a team of founders who worked collaboratively. When my co-founders and I got the company scalable and repeatable, we hired an operating executive as the CEO and returned a billion dollars to each of our two lead investors. Now when I listen to entrepreneurs who’ve cratered a company, I listen for their stories of failure and redemption. One day I got a call from my two investors, “Hey Steve, we’re both going to be up in San Francisco, lets grab lunch.” I liked my two investors. I’d known them for years, they were smart, trying to figure out the video game market with me, (in hindsight a business that none of us knew anything about and shouldn’t have been in,) coached me when needed, etc. Our board meetings were collegial and often fun. “But I thought you guys were my friends? !” You’re supposed to support me!! I said out of utter frustration. I had just gotten a very expensive reminder. I liked my board members. They liked me. But while I was just seeing a single board member, I was just one of twenty companies in their current fund portfolio. Their fiduciary responsibility was to manage a portfolio of investments for their limited partners. And what they promised their own investors was that they would invest money in deals that would grow in value and achieve liquidity. As much as they liked me as the entrepreneur, they couldn’t throw good money after bad when they thought the deal went south. While the best VC’s treat entrepreneurs like you are their most important customer, and they add tremendous value to your startup (recruiting, strategy, coaching, connections, etc.) they are not doing it out of the goodness of their hearts. Entrepreneurs need to understand that VC’s are simply a sophisticated form of financial investors who in turn need to satisfy their own investors. At the end of the day VC’s have to provide their limited partners with great returns or they aren’t going to be able to raise another fund. It took losing something important to understand the difference between a commodity and an opportunity. Along the way I also learned yet another way entrepreneurs see the world differently from their investors. In the early days of Rocket Science I realized that we needed high-level advice on multiple fronts; technology, game development, video game distribution, etc. At one of our initial board meetings we had agreed on the general principle of an advisory board and put together an overall stock budget to compensate advisors. Now a decade later, we caught up over lunch and I found that he was in the middle of taking a new job inside his company and had some time on his hands. Chatting with him just reinforced my earlier opinion that he was an extraordinary combination of sheer technical talent, great business and common sense and a level-headed decision maker. I knew he would bring immense value to me and the company. Over the next week we exchanged emails over advisory board stock. I made him an offer and he countered with one I thought was still reasonable (but I didn’t tell him that.) The timing was perfect, my board meeting was in two days. I could get him the stock he asked for approved at my board meeting and then reply. I was so excited to break the news to the board that I put this new advisor on as the first agenda item. Even back then the advisor was a well-known name in Silicon Valley. The conversation went great and everyone agreed he’d teach us a lot – until one of the board members asked, “How much stock do we have to give him?” I threw out the number of shares I had offered and he had requested, naively thinking everyone would see what a no-brainer this was. Instead what I got was, “Wait a minute. He’s asking for one-third of our advisory board stock budget. We had agreed we were going to get 5 to 6 advisors with that amount of stock.” At first I wasn’t sure I was hearing this correctly. The advisor was a world-class guy, in my judgment he was worth more than all the other advisors I was going to get. As a first-time CEO getting beaten up my board I thought this wasn’t a fight worth having. (I couldn’t have been more wrong.) So I agreed to go back to my potential advisor and tell him the best I could do was my first offer. I was about to get a few lessons that have lasted for a long time. Putting my best marketing spin on it, I sent our potential advisor a message that essentially said, “I’m not sure I can meet your request, but here’s another offer.” I dressed it up as best as I could, making some of the other terms more palatable, but it still wasn’t what he asked for. I guess I shouldn’t have been surprised when he sent me a very polite note back that said, “Thanks but no thanks. I’m now getting more involved in my new job as CTO and I’m too busy to go back and forth negotiating this.” But I was crushed. I knew my company had just lost something important. Something that I couldn’t just go out and replace. And I realized I screwed up in at least two major ways. I hadn’t just lost a potential advisor I had lost an irreplaceable opportunity. We lost him not just over a stock offer. We lost him because we had treated him as a commodity – something that was readily available from multiple sources – and that you could negotiate its price. In reality what I had in front of me was an opportunity – a favorable combination of circumstances that rarely occurs and if seized upon would have given me an advantage. You treat commodities and opportunities radically differently. Founding CEO’s are supposed to search for a repeatable business model, not just blindly execute their original plan. That requires you to identify opportunities and seize the day. Opportunities are not just about sales, marketing or product. In this case it was about a resource I had in my hands and let go of. I had acted like an employee, not as a founder and certainly not as the CEO of a startup. I had let my board tell me that the opportunity I saw was a commodity that could be managed by a spreadsheet. And I didn’t stand up for what I had believed in. Great entrepreneurs see opportunities before others do. If it’s a one-of-a-kind that give you an advantage, it’s an opportunity. Grab opportunities with both hands and don’t let go. It’s better to beg for forgiveness than ask for permission. In my 21 years of startups I’ve had my ideas “stolen” twice. Once it almost mattered. This is about the time it didn’t. One of the worries I hear from entrepreneurs (not just my students) is that Customer Development means getting out of the building and sharing what you are working on. What if, gasp, someone steals my idea? Then all my hard work will be for nothing. This actually happened to me twice in my career. The first time was at Rocket Science Games. I was positioning the company as the second coming of the video games businesses at the intersection of “Hollywood Meets Silicon Valley.” This was a great positioning, it helped us raise lots of money and get tons of press. I had a wonderful set of slides that illustrated (to me) this inevitable trend. At the end of the presentation was one “uber” chart I had labored over for months which laid out all the converging trends in the industry. I used it in all presentations and gave it at industry conferences. Are those my initials on the slide? Fast forward nine months. My co-founder, head of business development and I were in Japan raising money. We were sitting in the conference room of a large well-respected media firm when their CEO breezed in to give us an overview of who they were and how forward thinking their firm was. I thought highly of this firm and was in awe of their content and films so I was a bit blown away when the CEO got to the finale of their presentation. It was, as he explained, the sum of their strategy and strategic thinking for online media. And the slide was…. Not a summary of my slide, or a Japanese copy of my slide, but my actual slide. I stood up from my seat, and walked around the boardroom table to get closer to the screen just to be sure. The CEO was beaming at my interest in the details of the slide. Examining the slide, I pointed to the bottom right and said to our translator, “Tell him my initials are still on the bottom.” The interpreter’s face went white, and after a lot of “I can’t tell him that,” he did. In the end, the CEO couldn’t get his board to give us the cash in exchange for the Japanese distribution rights and some equity. We ended up raising money from Sega. I heard later that the slide disappeared from his presentation. The next time one of my ideas was “borrowed,” it was a little less benign and more like the nightmare founders fear. More in the next post. If you present slides publicly, assume everyone including your competitors will have them. Do not put your trade secrets, proprietary algorithms, patentable technology, secret sauce, etc. on presentation slides – ever. That still leaves you tons to talk about in a first and even second meeting. For slides that contain diagrams or drawings that you created, make sure your initials and date are on them. While the Rocket Science press juggernaut moved inexorably forward, a few troubling facts kept trying to bubble up into my consciousness. The company was founded to build games with embedded video to bring Hollywood stories, characters, and narratives to a market where “shoot and die” twitch games were in vogue. But underlying the company’s existence was a fundamental hypothesis we refused to see or test – customers would care if we did. In the game business of the early 1990’s video was at best a brief narrative, a distraction you maybe watched once, not the core of the game. Our potential customers didn’t seem to be calling for Hollywood stories, characters and narrative. That’s OK, because we knew better. We thought we had figured out what the next generation of games was going to be. 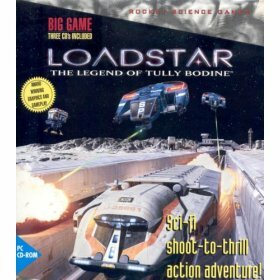 We were thinking we were in the movie business, but video games were more akin to pinball; both pinball and movies were entertainment but you would never confuse them with each other. Successful pinball companies didn’t hire Hollywood talent. Meanwhile our company was pouring an enormous amount of dollars into building tools and video compression technology, while also hiring a lot of high-priced Hollywood talent like art directors, and script and story editors. Nah. Instead I said, “Oh, OK, glad it’s all under control.” Then I went back to raising more money and getting more press for our soon to be spectacular games. In hindsight it’s easy to laugh. Saying you knew how to build great games because you played them all your life was like saying, “Hey I eat out a lot so why don’t I open a restaurant.” Or “I’ve seen a lot of movies so let’s start a movie studio.” Only in Silicon Valley could we have got funded with this idea, and not surprisingly, it was our technology that had the VC’s confused. It was more like we had invented the world’s best new kitchen utensils and wanted to open a restaurant, or had built the world’s finest movie cameras and wanted to start a movie studio. Our venture backers and our executive team confused our technology and our tools — and our passion for the games business — with any practical experience in the real business we were in. We were an entertainment business – and not a very subtle entertainment business. As we were about to find out, if video game players wanted a cinematic experience, they went to the movies, they didn’t buy a video game. Our customers wanted to kill, shoot or hunt for something. Fancy video narratives and plots were not video games. investing in 10 companies and having 8 fail – but the remaining two companies returning 20x their money for $40 million. His point was that it was in the VC’s interest in having entrepreneurs swing for the fences. What keeps founders and their investors going is the the dream/belief that your startup will be the Black Swan – a company that breaks all the obvious rules, ignores tradition and does something unique and spectacular and with a result that is unpredicted and financial returns that are breathtaking. Think of the Microprocessor, Personal Computer, Internet, Twitter, Youtube, Facebook, Google, the iPhone. Creating those technologies and companies required entrepreneurs willing to follow their own vision and convincing others that the path is worth following. The mistake isn’t having a vision and taking risks. The mistake is assuming you are a Black Swan and continuing to ignore the facts as they pile up in front of you. At Rocket Science, hubris took over and was about to lead to the fall. Customer Development says having a vision, faith and a set of hypotheses are a normal part of the startup experience. But it is critical to build in a process for testing those hypothesis outside the building and listening to the responses – or you might as well throw your money in the street. While a lack of relevant domain expertise is not always fatal, believing you don’t need any is. Founders need to validate their vision in front of customers early and often. Your goals and your VC’s goals may not be aligned. Make sure they are.